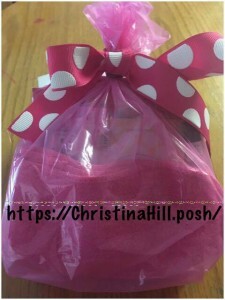 Our sweet mommie friend Christina Hill is sponsoring a giveaway for us! 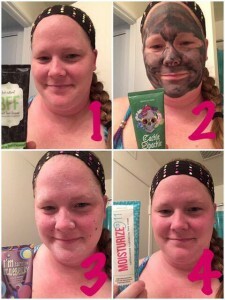 She is giving away a little goodie bag of Perfectly Posh products that she sells. She sent me a little sample bag for a facial and I do have to say it was a nice treat myself to an at home facial and take some time for me one night. You will want to enter the giveaway! Who doesn’t want to have a goodie bag of items to pamper themselves with?! 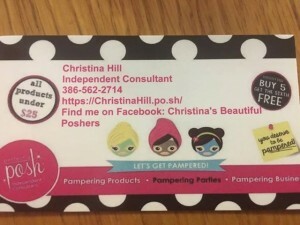 Here is a little bit about Christina in her own words: My Name is Christina Hill and I am a Perfectly Posh Independent Consultant. I am a stay at home mom of 3 kids. I decided to sell Perfectly Posh a couple months ago after using it for a couple months. I fell in love with the pampering products and I wanted to also help my friends and family pamper themselves. I love the fact that all our products are all naturally based so I don’t have to worry about what I’m putting on my kids and myself. Since I am a stay at home mom being a consultant has helped bring in money to help with our bills and to pay for some fun family times. If you have any questions please don’t hesitate to send me a private message. 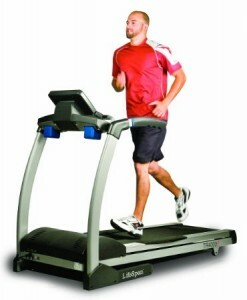 Included in the prize are the following items! This time I am doing a FB only entries. So head on over to Ally’s Helpful Hints For Mommies and click the saved link at the top and follow the instructions. 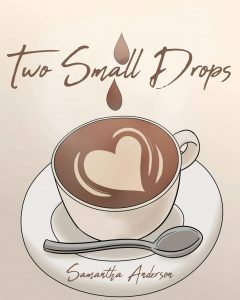 I was excited to be contacted by Spark of Amber to offer all my friends another giveaway. I am very thankful for this opportunity and the great bracelet I was able to review. It is comfortable and I just love the colors of the one I got. It goes well with most anything and I feel comfortable wearing it all day. 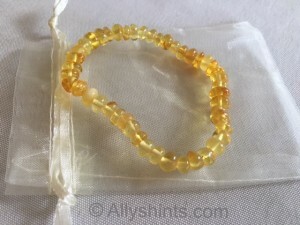 I have never had an Amber necklace or bracelet before so I was happy to try one out. I have always heard such great things about them. I have had mine for two weeks and have no complaints about it. I do have to admit I had to get used to wearing a bracelet again after not wearing one for so long but it didn’t bother me at all. This is the bracelet I got “the Seashore” bracelet. 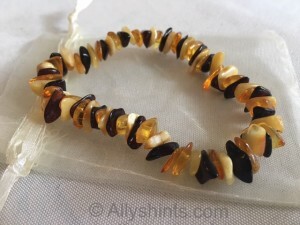 I have always heard great things about Amber bracelets and necklaces and it has been fun trying one out. 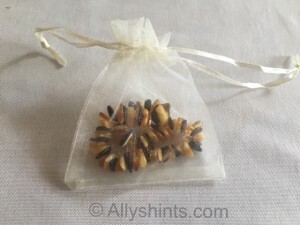 It comes in a cute little pouch and all protected in bubble wrap so it comes with no damage to the item. Here a couple of things that Spark of Amber tell you about their product. Baltic Amber is a beautiful fossilized resin. 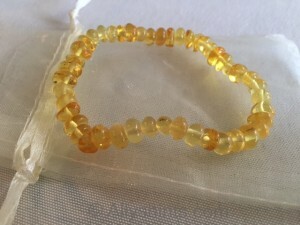 The 100% natural healing oils of the Baltic Amber are said to relieve pain, provide calming during stressful times, alleviate teething discomfort and relieve inflammation in the throat, ear and stomach. It is recommended that you don’t wear it to bed or in the water. They have a huge selection of products to choose from and a wide range of sizes for babies up through adult. Make sure you check out their website and see what they have. So many great colors and styles to match your personality. Here are several ways to follow Spark of Amber and see what they are about. 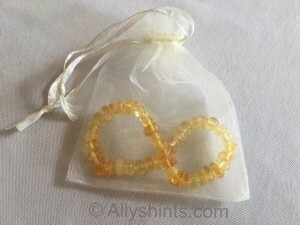 I’m excited to give away the yellow “sunrise” bracelet. It is a newer rounded style beaded bracelet that I am sure you will love. The color of this is so pretty and the rounded beads will make it even more comfortable to wear. I love how all the beads are just a little different. 3. Share this post on Facebook or Twitter or any other social outlet for another entry and tell me that you did in a comment on Facebook. Giveaway ends midnight on Mother’s Day May 8, 2016. One winner will be drawn randomly and notified by email or FB message that they have won and have 24 hours to respond or another winner will be chosen. US residents only please. I received a free bracelet for my own opinion of Spark of Amber and a bracelet to give away to one winner. Opinion is all my own. Thanks again to Spark of Amber for this opportunity to share their product with you great friends. You can find reward codes on packages of wipes and diapers and get a free account at pampers.com and save them to get free gifts for you or baby. 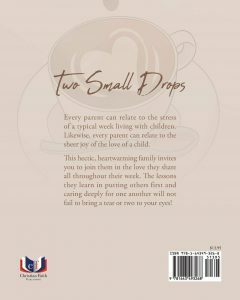 A very small percentage of all sales through Amazon helps to support this page and blog. 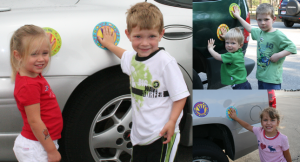 I used to have my kids put their hand on the side of the car even without the sticker. My oldest would stand on the side with his hand on it and I would say don’t move while I got the other little guy out of his car seat. It worked well for us. You could google search and find a special sticker if you want. 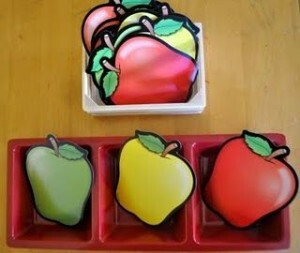 This looks like a cute game to play with any age and then talk about Apples at the same time and how we get them. Lots of ideas with this. Laminate it to use over and over again each year. 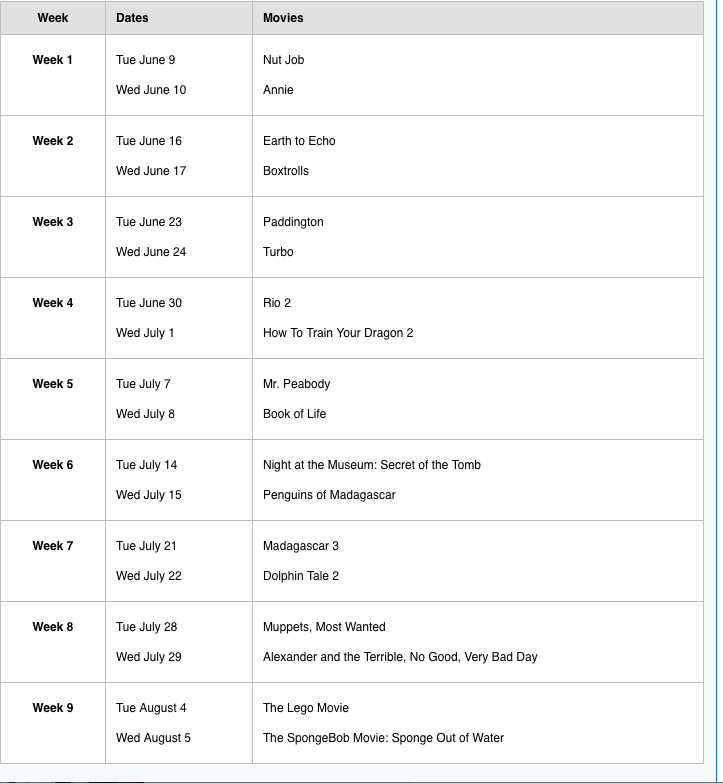 Here is the list of Summer movie express movies this summer 2015. You can google what times and list is in your area. This is for Ormond Beach, FL The movies run two days and you pay one dollar. You can go to either movie both both there is not a set movie for the day. ENJOY!! I have had the privilege of being able to listen to “Lightning Bug Lullabies” It is a great collection of 10 songs that is perfect to play for little ones as they take a nap or go to sleep at night. Great mixture of calmness and catchy songs that will have you singing them with your kids. You will enjoy “Mrs. Kate” Carpenter and her new CD! Mrs. Kate loves to write songs that are catchy and fun as well as meaningful for kids. I popped our CD in and my kids recognized her immediately and starting swaying to the music. We have been enjoying listening to it this last week and one of my favorite songs is the “Fruit of the Spirit”. My youngest recognized this song too and said “that’s the fruits of the spirit she is singing”. The songs all go along great with bedtime and nap time and would make a great CD to play as they lay down and get ready to go to sleep. If you have a daycare or young kids of your own this is a great CD to add to your collection. Mrs. Kate also as a bunch of other great CD’s too and videos. make sure to check out her website HERE. 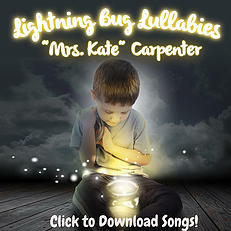 There is also a video of the Lightning Bug Lullabies song. 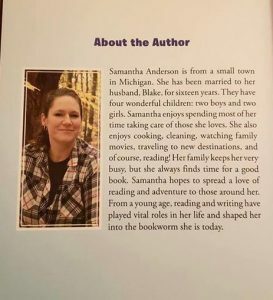 If you are in the Southeast area she makes several appearances at libraries and schools so keep an eye out for her. I was provided with two CD’s in order to run this review and giveaway. Thoughts regarding this CD are all my own.